Want to squeeze in a little extra learning? Now you can! This year, ComNet17 will offer 4 additional learning sessions. Breakfast Chats will be offered at 8:00am on the morning of Thursday, September 28, and Friday, September 29. They will last approximately 45min. 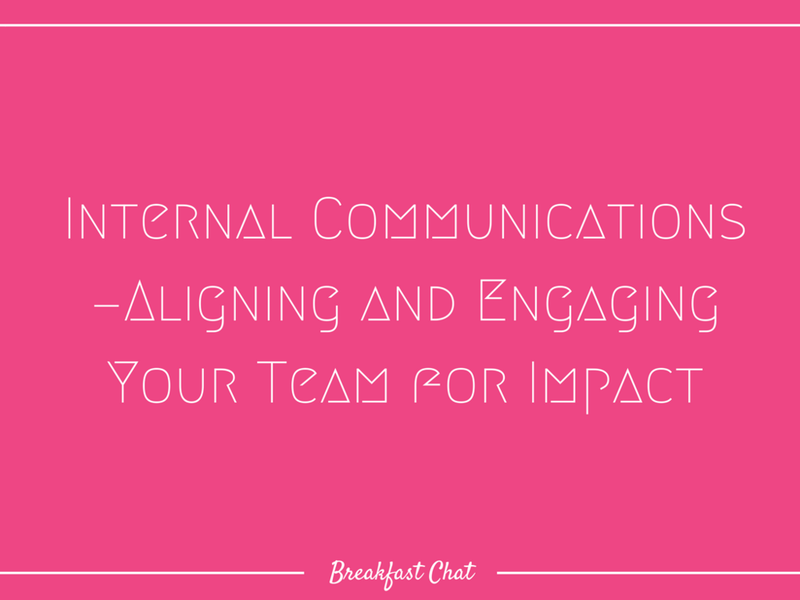 Breakfast Chats are designed to be a more casual learning setting where you can connect with experts and colleagues over breakfast. The focus of the sessions are guided conversations. If you're interested in joining a Breakfast Chat, please register below. Registration does NOT cost extra, but will allow session leaders to shape the conversations to the audience. Forgot to register? That's okay, just grab your coffee and bagel and join the conversation. The Breakfast Chats are listed below. Scroll down for details. Communications professionals grapple with complex questions: Why isn’t our audience responding to our communications as expected? How can we get our audience to act? If you are perplexed by a "big" communications question but don't have the insight, budget, or time to tackle it by yourself, I have a solution: Find a Sherlock to your Watson to help you to solve the mystery! Communication researchers at universities around the U.S. spend their days researching the answers to those very questions. With insights from decades of social scientific research, they can help you develop strategies that are responsive to the post-truth era and implement new ways of evaluating your impact. 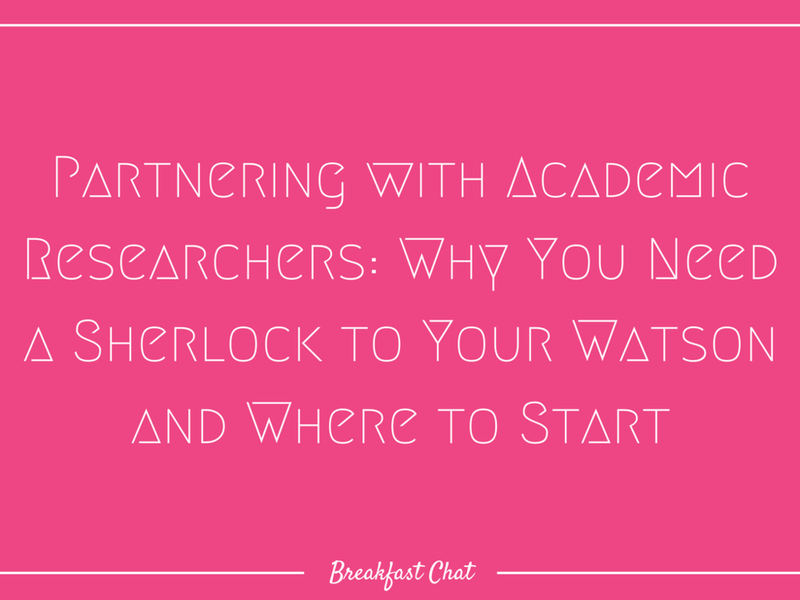 Just as Sherlock Holmes needed John Watson, academic researchers need partnerships with professionals of all stripes in order to produce research that is responsive and relevant. In this session I will share examples of mutually beneficial collaborative research partnerships between professionals and academics -- and where to begin. Thinking Big: The session will explore a big idea or question in the philanthropic/nonprofit sector. The audience is someone interested in exploring philosophical or strategic considerations with their peers. This interactive session addresses common issues and innovative solutions in the three main areas of internal communications: organizational alignment, employee engagement and brand ambassadorship. The goal of the session is for participants to raise questions, get answers, and share ideas and success stories in this often overlooked, but critical communications channel. Session moderators – RJ Bee, Senior Vice President for Operations at Hattaway Communications, and Rebecca Chamberlain, Internal Communications Officer at The Kresge Foundation – will introduce the three areas of internal communications, based on a recent ComNet blog co-authored by Rebecca. Participants will then break into small groups to focus on one of the three topics. Flipcharts and materials will be available for groups to brainstorm challenges and opportunities around a chosen area. In the spirit of interaction, the bulk of the time will be devoted to each small group sharing ideas surfaced and lessons learned with the entire group. This session is suitable for those with limited to advanced exposure to internal communications and strategy and operations. Please just come with an interest in learning and sharing how to enhance employee engagement and mission connectedness in your organizations! Communications 101: The session is focused on the core skills a communicator needs. The audience is early-career communications professionals and veterans who want to brush up on the fundamentals or learn the basics of a new tool or platform. Strategic planning and brand strategy are great activities for bringing an organization together to generate ideas, insights, and consensus. But as the saying goes, “culture eats strategy for breakfast, lunch, and dinner.” Too often the best laid plans go to waste, and valuable ideas and insights either remain locked up in documents that sit on a shelf, or are poorly executed when the change management challenge becomes too big. In this informal breakfast session with Brand Strategy and Experience Design Agency, Constructive, we’ll be discussing and exploring the challenges of putting organizational and brand strategy work into action. We’ll share ideas and offer insights on different ways that social change organizations can truly “live their brand,” building brand cultures and delivering brand experiences that are aligned with mission, vision, and values to increase their impact. Come one, come all—and don’t be afraid to bring your breakfast! Thinking Big: your session will explore a big idea or question in the philanthropic/nonprofit sector. Your audience is someone interested in exploring philosophical or strategic considerations with their peers. In light of recent events, this discussion has been moved to our main stage. Please join us in the Sparkle East Ballroom. No need to sign up. Join us for a discussion with talented and influential leaders in climate change. Moderated by the President and CEO of The Miami Foundation, you'll hear from South Florida municipal officers and local foundations; as well as, national foundations focused on the environment. The session will recount recent events in South Florida; discuss how leaders are focusing on solutions-based campaigns, and explore the role of communications in climate change.